Here comes Team Great Rocket! 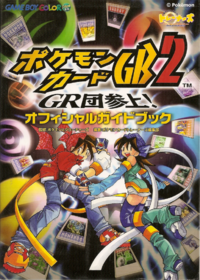 Published by Nintendo on the Game Boy Color, Pokémon Card GB 2: Here comes Team GR! is the sequel of Pokémon Trading Card Game on Game Boy, and another Pokémon game to be released only in Japan. 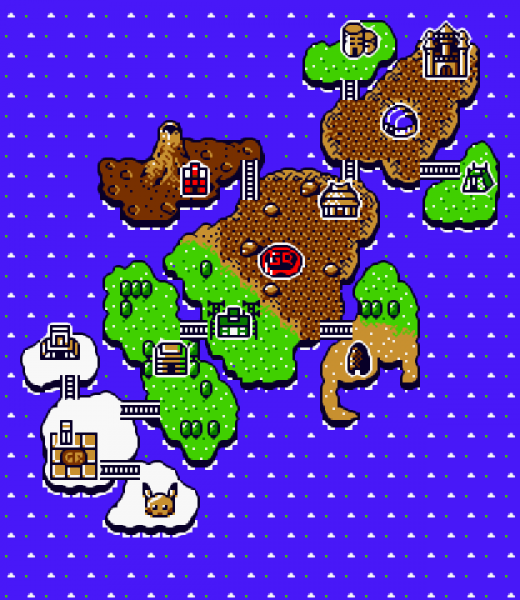 The sequel inherited most of the previous game's mechanics, with the addition of new features, like a whole new island the player can explore, many new cards and the option to play as a female character. 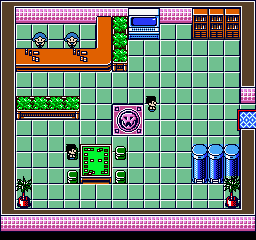 Pokémon Card GB2 also has a more elaborate story, focusing mainly on the villainous Team Great Rocket. 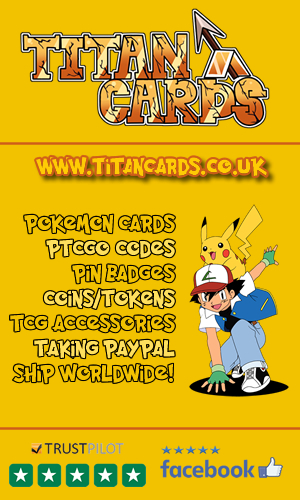 The game includes nearly every card from the Base, Jungle, Fossil and Team Rocket sets of real Pokemon Trading Cards. 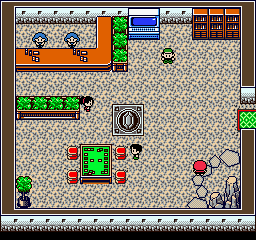 The game starts out in TDC Island, where the player is trying to become the Pokémon Trading Card Champion and acquire the legendary cards, guarded by the Grand Master, who are only accessed after defeating the eight Club Masters of the region. 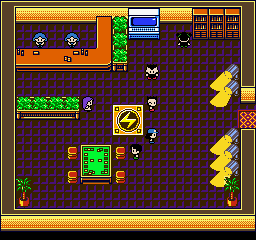 To their surprise, Team Great Rocket appears and tries to steal all the cards of the Club Master and the Player, while kidnapping many people all along, including some of the Club Masters themselves. The player then visits Professor Mason's Lab, where they meet their old rival Ronald who decides to infiltrate Team Rocket to get some Intel on the organization. Professor Mason then talks to the player and gives them a Starter Pack, containing some basic cards and asks them to help Ronald in saving the Club masters from their kidnappers and recovering the stolen cards. The player then starts out their journey, by first visiting all the eight Club Masters of the region or their replacement and battling them. Each time the player defeats a Club Master, they earn a Coin corresponding to the Club Master's Pokémon Type Specialty. 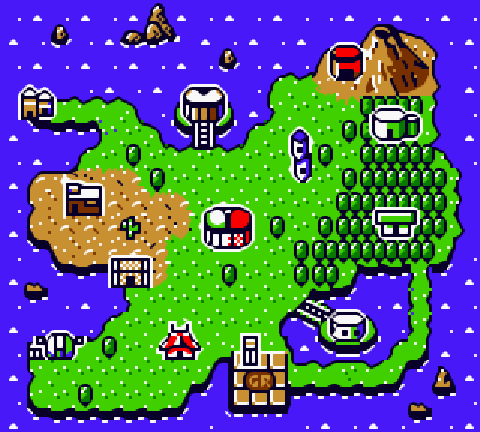 After acquiring all the eight coins, the player heads to the GR Island where they fight seven Team Rocket Specialists, along with their grunts, in different forts. Many of the executives and the members that unlock the way to them will force the player to use some specific cards, in order to duel them. Similarly to the Club Leaders, each of them gives a coin to the player cor King Biruritchiresponding to their Pokémon Type specialty. 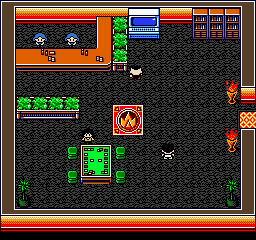 Once the seven GR executives are defeated, the player heads to the Grand Masters in TDC Island, to acquire the legendary cards, which are needed in order to access the Team Great Rocket's Boss. 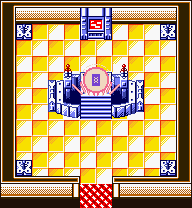 Once the four Grand Masters defeated and the legendary cards obtained, the player heads back to GR Island, and specifically to the Team GR Castle, where they fight the final Boss, King Biruritchi and his two bodyguards. Once King Biruritchi is defeated, the player acquires the King Coin and the credits roll. Mark: The male playable character and the protagonist of the previous game. 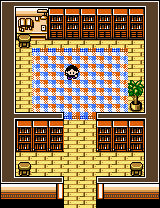 Mint: The female counterpart of Mark, added in Pokémon Card GB2. 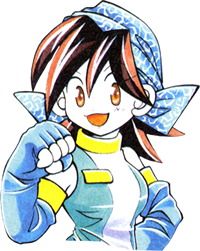 She only appears in this game, and has no English name, as the game was only released in Japan. 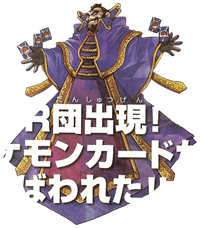 There are 8 club masters spread out across the TCG Island. Unlike the previous game, they'll give the player Coins instead of Medals. The four grand masters, their Legendary cards and their type specialisms. They are the villains of the game, who are trying to control the trading card world, by stealing all the Pokémon cards and even kidnapping many key individuals. As all the villains do, they will resort to any tricks and mischievous plans, in order to realize their goals. Professor Mason: He's the Pokémon Professor of the TDC Island, who entrusts the player with the mission of rescuing the island from Team Great Rocket. 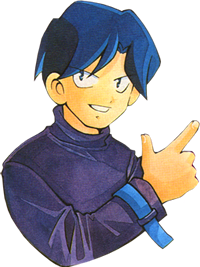 Ronald: Similarly to the previous game, he's the player's rival, but has a more developed role in the game, as he disguises himself as one of Team Great Rocket Members, all while gathering important information and acquiring card packs or sets for the player. From left to right, the lounge areas for the Rock, Lightning and Fighting clubs. From left to right, the lounge areas for the Water, Grass and Science Clubs. The Psychic Club lounge (left) and the Fire Club lounge (right). Ishihara's House: Where mostly Ishihara could be found resting, gathering his strength for when you want to negotiate some trades with him! Mason Laboratory: Dr. Mason's research facility. Challenge Hall: Many tournaments are held here, in which the player can participate and earn rare cards. This feature functions exactly as it was presented in the previous game. 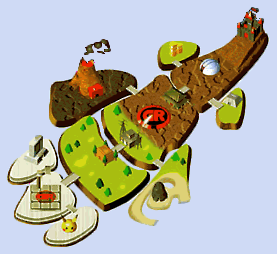 The Airport: Here, the player can travel to the GR Island using Team Great Rocket's blimp. 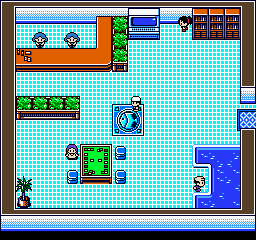 Pokémon Dome: It is where the Grand Masters await the player and protect the legendary cards. Since they're based on the Elite Four in the main game series, there are also four Grand Masters in this game too. From left to right: Mason's Lab, The Legendary Hall at the Pokemon Dome and Mr. Ishihara's House. 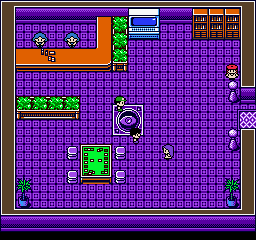 The Game Center : The player can earn coins here from the slot machines and later on, trade them for cards. Ishihara's Villa : Another one of Ishihara's Mansions, where he can be found. The Airport : It is used to return to TDC Island. The Seven Team Great Rocket Forts and Altar : These work in a similar way to the Clubs from TDC Island. Each Fort has a Team Great Rocket Leader, accompanied with other members that need to be fought first. The Team Rocket members and the Leaders themselves will sometimes force special rules on the player, mostly giving them the advantage. 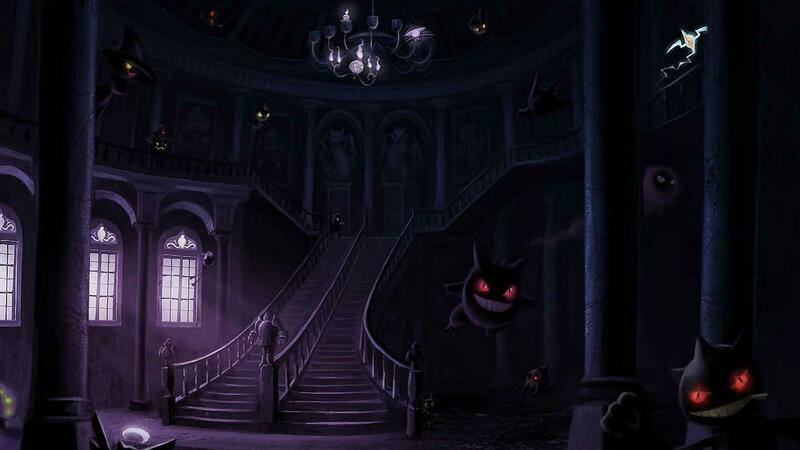 Team Great Rocket Castle : It is where the Boss of the organization resides, along with his two bodyguards. 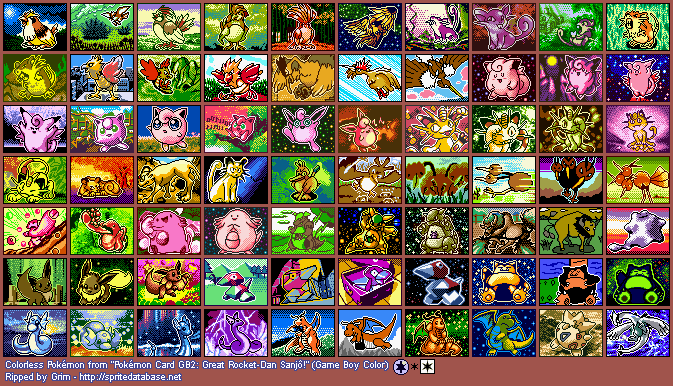 As the sequel of Pokémon Trading Card Game on GB, the game showcases most of the features of its previous version, with the addition of many new ones. 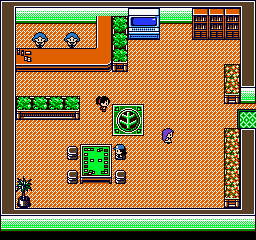 The player can now play as a female character called Mint, or choose the male protagonist from the previous game, Mark. Playing as Mint or Mark, will have no effect on the rival, who's still Ronald. Some of the available card packs within the game. 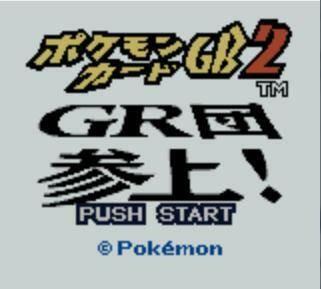 Pokémon Card GB2: Here comes Team GR inherited the Card Pop! feature of the previous game, allowing players to link their games with the Infrared Communication Ports, with each one of them receiving a randomly generated card. The Card Pop! feature is still the only way to obtain Phantom cards like the "Here Comes Team Rocket!" or the "Lugia" cards. One should note that Card Pop can only be done in between two similar games, as it impossible for this game, for example, to Card Pop with its previous version. 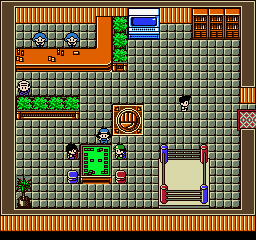 Players that own the game can connect to each other through the Game Boy Link Cable, to duel and test their decks, or with the help of the GBC Infrared communication, to exchange deck configurations, cards or even perform the Card Pop feature. Furthermore, since the multiplayer options were disabled on the Virtual Console version of the Pokémon Trading Card game, linking this game to it is rendered impossible. Check out these videos for Pokemon Trading Card Game 2 for Game Boy. 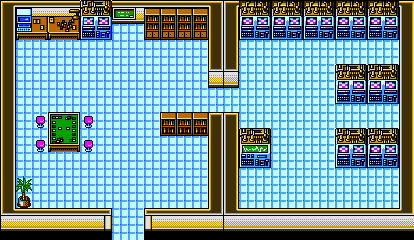 A quick look at Pokemon Card GB2 in a translation reproduction version. 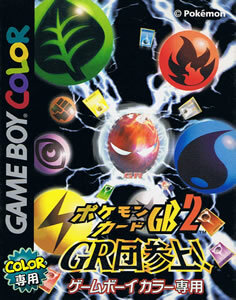 Pokémon Card GB2 and its predecessor are the only spin-off games to make use of the sprites from the main game series. The secret card "Dark Raichu" found in the "Team Rocket's Ambition" set, was the first card to be ever released outside of Japan, before being released in it. This happened due to a mistake and caused the card to have the "GB" symbol instead of the "R" symbol referencing Team Rocket expansion. In March 2001, a special edition Celebi card and a promotional Great Rocket's Mewtwo Card were included in a special edition bundle package. Since the game was only released in Japan, it managed to sell around 845 thousand copies, there, within 3 weeks of its release. 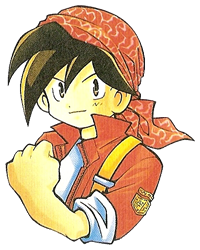 Sales continued to increase very slowly, reaching approximately 860 thousand copies sold, by the 5th of may 2001, and finally reaching a final number of 890 thousand copies, sold all over Japan.